Paolo (Homepage) wrote: scelgo questa per farti i complimenti per i photoblogs awards 2012: bravo! janina (Homepage) wrote: Mmmm...spectacular! love it. Olivier Rault (Homepage) wrote: Une photo extraordinaire, de superbes contrastes, well done ! Wolfgang (Homepage) wrote: Beautiful landscape photo and a good blue/white-contrast. Mats (Homepage) wrote: Very cool shot! I really like the blue tones. buntagphoto (Homepage) wrote: What's going on there? I like the mysterious scale of the image. tom (Homepage) wrote: Fantastic, how the clouds emerge from the back. 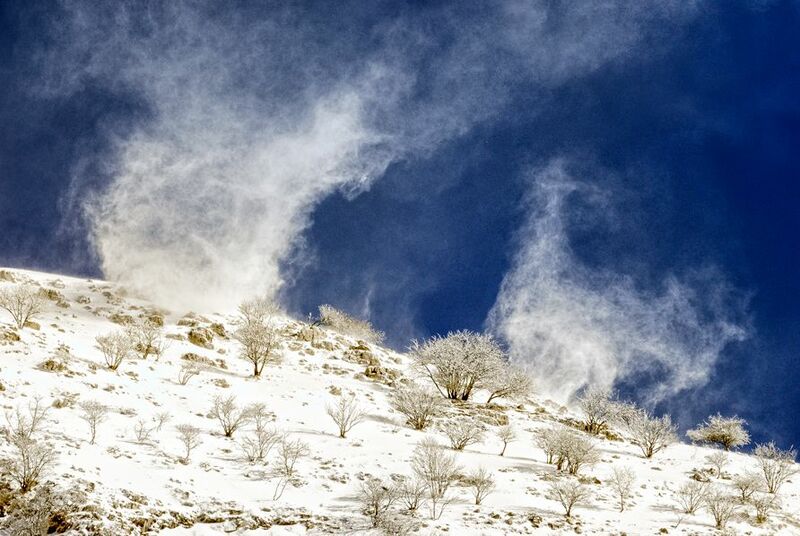 CrashRyan (Homepage) wrote: wow .... exploding snow ??? snow devils? Arjan - PlasticDaisy (Homepage) wrote: Wow perfect angle and great contrast of the white and blue! Arnd (Homepage) wrote: A remarkable photograph with a fascinating and eye-catching, multi-layered composition. Peter Klomp (Homepage) wrote: Nice catch, very playfull!